At an employer's automotive component manufacturing facility, manufacturing operations make extensive use of robots located within fenced cages. At one location, suspension parts are transferred by rotating tables from station to station while greasing and other operations are performed on the parts by robots. If necessary, employees can gain access to the robots by entering the cages through electrically interlocked gates. When the gates are opened, the multiple energy sources that power the robots, rotating tables, and related machinery are turned off but are not deenergized or locked out. An employee who is inside a cage when a robot is activated could be struck by the robot arm or other machine parts and seriously injured. An injury occurred when an employee, consistent with the employer's practices, entered the robot cage without deenergizing or locking out any equipment. The employee was attempting to unjam a robot arm. In freeing the arm, the employee tripped an electric eye, causing the robot arm to cycle. The employee's arm was struck by the robot and injected with grease. The employer contends that Lockout Procedures were not necessary because once the gate is opened, movement of the robot arm is impossible, and a Maintenance worker inside the cage would have ample warning - by the closing of the interlocked gate - before the machinery started up, to avoid injury. According to the employer, once the interlocked gate is opened, it must first be closed and a number of buttons must be pushed before any machine movement can occur. The startup procedure would take some time and the person inside the robot area would be aware of the closing of the gate and the presence of another worker at the nearby control panel. Does the unjamming operation take place during normal production operations? Incorrect. Actually, that would not be true here. The unjamming operation does not take place during normal production operations. The operation takes place while the robot is shut down and the robot is not performing its intended production function. By opening the gate and entering the fenced area, the employee is bypassing the safety device and exposing himself to injury from the unexpected start up of the equipment. Would the minor Servicing exception apply to this situation? Incorrect. In this case, it would not. The unjamming of the robot arm does not meet each of the required criteria for the minor Servicing exception; thus, this exception does not apply. Specifically, the unjamming operation does not take place during normal production operations, as specified in the minor servicing exception note to 1910.147(a)(2)(ii). In addition, the unjamming operation does not use alternative measures which provide effective protection. 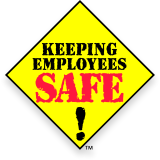 Was the activity performed by the employee covered by the Lockout/Tagout standard? Correct. This activity was covered by the Lockout/Tagout standard. The Lockout/Tagout standard covers Servicing and/or Maintenance activities performed on machines or equipment only where servicing and/or maintenance employees are exposed to the unexpected energization, start up, or release of Hazardous Energy. Although in this situation the employee was clearly performing service and Maintenance (unjamming) and had bypassed machine guarding and safety devices, a court held (contrary to OSHA's position) that this specific activity was not covered by the Lockout/Tagout standard because the employer used alternative measures to effectively eliminate the hazard of unexpected energization, start up, or release of Stored Energy. According to the court's ruling, measures such as a multi-step start-up procedure, time delays, and audible warnings, protected employees by providing sufficient warning, even if the machine were to be started during the middle of a Servicing procedure. Typically, however, such situations will be rare. Incorrect. Actually, this activity was covered by the Lockout/Tagout standard. In this situation, would the interlocked gate alone satisfy the employer's Lockout/Tagout obligations? The interlocked gate would not meet the requirements for an energy isolation device. In this case, the interlocked gate is considered to be control circuitry which is expressly prohibited by the rule. It does not protect employees who are inside the fenced area because it fails to de-energize the robot arm. The employer contends that deenergizing and locking out a robot wipes out the robot's memory and requires time-consuming reprogramming. Based on this alone, could the employer claim that shutting down the robot was impractical and thus, claim that the unjamming task was exempted? Incorrect. There would not be an exemption for this activity. The employer still has an obligation to provide the Servicing and/or Maintenance employees protection if they are exposed to the unexpected energization, start-up, or release of Stored Energy, which could cause injury. Simply because it is impractical or difficult to effectively protect employees engaged in service and/or maintenance work, provides no exemption from the requirements of the standard. The robot could have been rewired to eliminate the problem of computer memory loss, or could be reprogrammed using a slave computer to transfer the necessary data and instructions to the robot©s computer. For more information: To better evaluate this specific case study, refer to the October 30, 1996, memorandum for Regional Administrators, and the 6th Circuit Court decision in the Secretary of Labor vs. General Motors Corporation, Delco Chasis Division, OSHRC Docket numbers 91-2973, 91-3116, and 91-3117. The employer still has an obligation to provide the Servicing and/or Maintenance employees protection if they are exposed to the unexpected energization, start-up, or release of Stored Energy, which could cause injury. The standard provides no exemption simply because an employer would be required to take additional steps or implement additional controls to effectively protect employee engaged in servicing and/or maintenance work. The robot could have been rewired to eliminate the problem of computer memory loss, or could be reprogrammed using a slave computer to transfer the necessary data and instructions to the robot's computer.